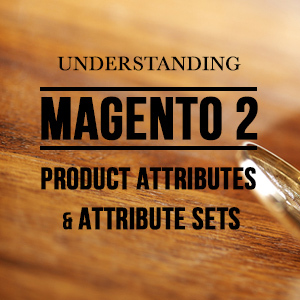 In this post I’m going to show you how you can add a custom global tab on a Magento 2 product page in addition to the existing default ‘Description’, ‘Reviews’ and ‘Additional information’ tabs. 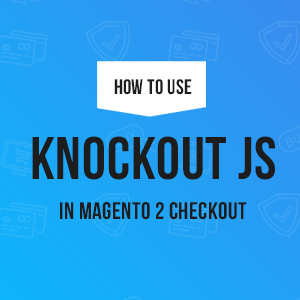 One of the simplest ways to do this is to make use of Magento 2 static block. 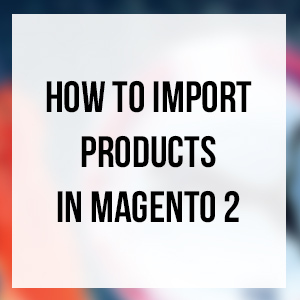 Please note this is just one way you can use to add custom tabs on your Magento 2 product page. You might wonder why use a static block? Static blocks are very useful for displaying the same content in many places. You may want to use a static block to regularly display a new product announcement or discount. By using a static block, you can update this information in one place and have it instantly appear throughout your site where it is referenced. To get started, we will create a new static block -- for e.g. Size Chart as follows. You can use any available static block if you want though. Go to the Admin sidebar, tab Content | (Elements) Blocks. Identifier: Enter a unique Identifier to the block. Please keep in mind that you should use all lowercase characters, with underscores instead of spaces. In this tutorial, we inserted the Identifier ‘size-chart’. Store View: Select the Store View(s) where the block will be available. Content: Complete the content of the block as needed. If you prefer to work with the HTML code, tab ‘Show/Hide Editor’ button. Once done, click Save Block button. Then you should see the new block ‘size-chart’ at the bottom of the list in the Blocks grid. Next, you need to create a template file to call the static block we’ve added. The syntax setBlockId($blockId) specifies the Identifier of a CMS block which refers to the identifier ‘size-chart’ created in Step 1. The content will be fetched and displayed when the product page is rendered. The <referenceBlock> tag designates where the content block is to be placed. As you look within <referenceBlock> tag, you’ll find a <block> tag and corresponding <argument> tags. 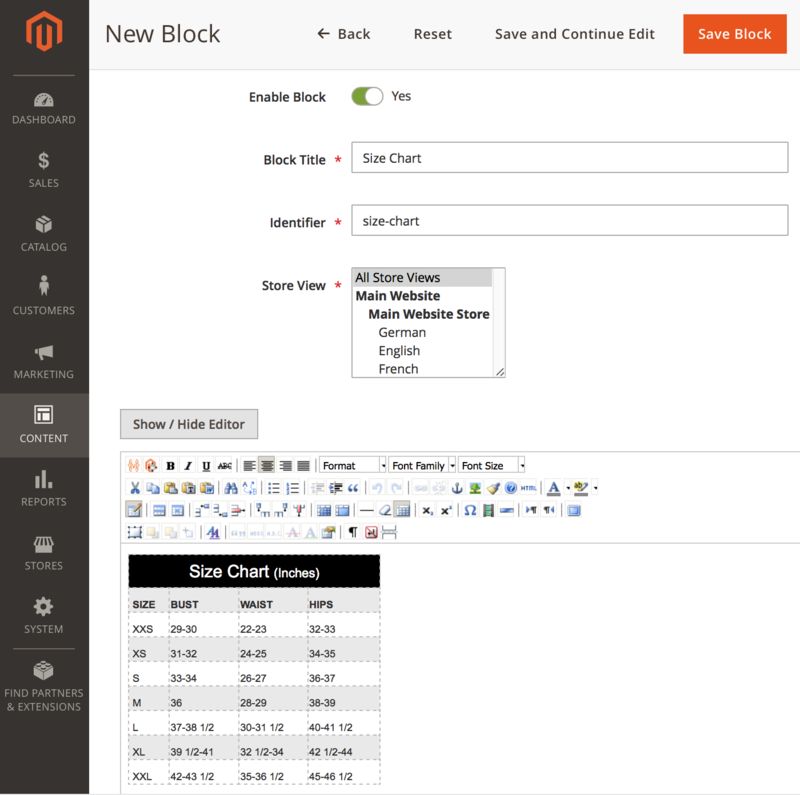 The <block> defines the content, and also specifies a template file, in this case size_chart.phtml that contains the HTML and PHP code defining the visual output for this block. Save the file, then clean Magento 2 cache. And you are done! Enter your front-end to see what we’ve got: the Size Chart tab will appear on all product detail pages. We hope this simple tutorial gives you a hint on how to add a global custom tab to your product pages. 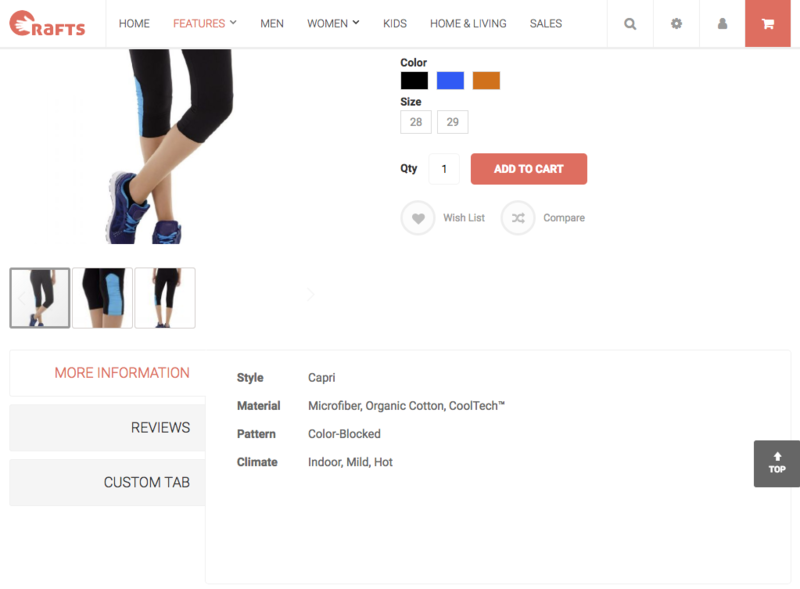 Additional information tabs are always great for helping you enhance the product’s page and provide details that entice customers to make a purchase. 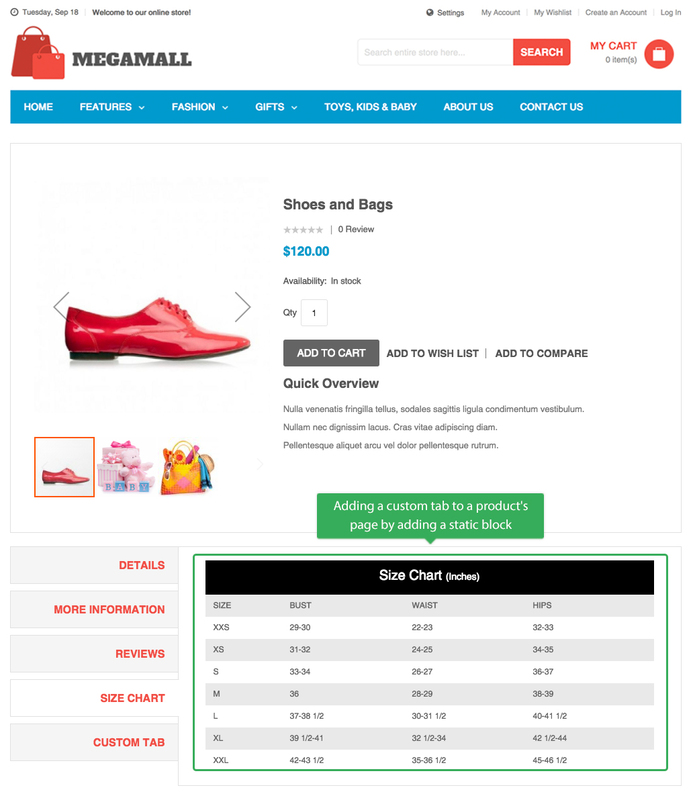 If you’re interested, you can check out sample custom tabs we added to our Magento 2 themes, for example here, here and here.